I’ll be your sweetheart, If you will be mine, All of my life I’ll be your Valentine. 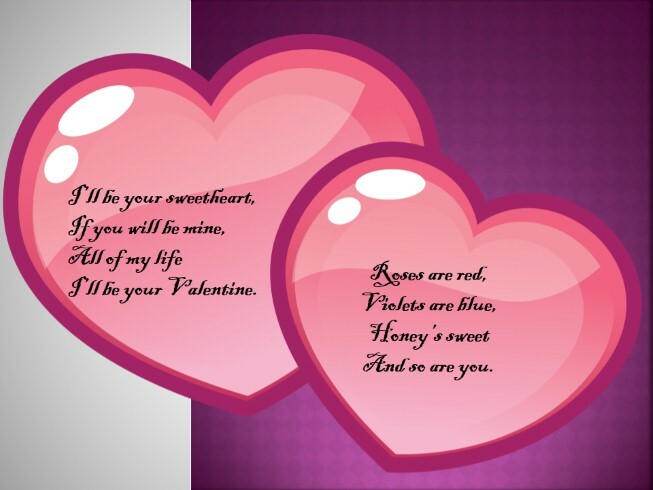 Roses are red, Violets are blue, Honey’s sweet And so are you. 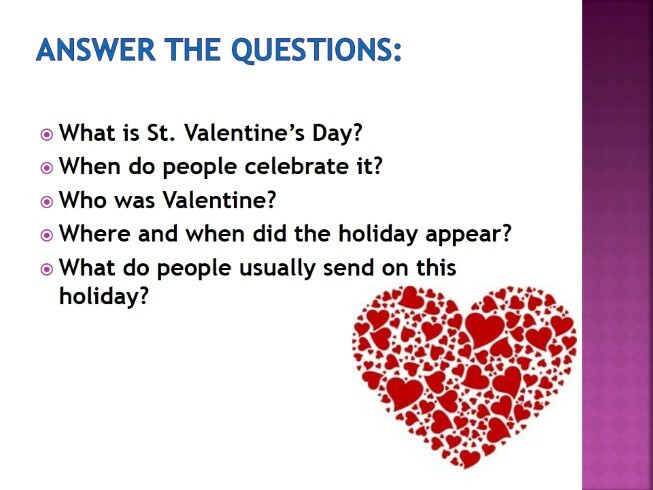 What is St. Valentine’s Day? When do people celebrate it? 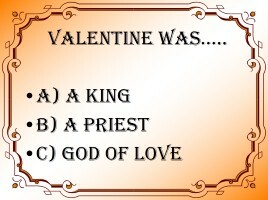 Who was Valentine? Where and when did the holiday appear? What do people usually send on this holiday? 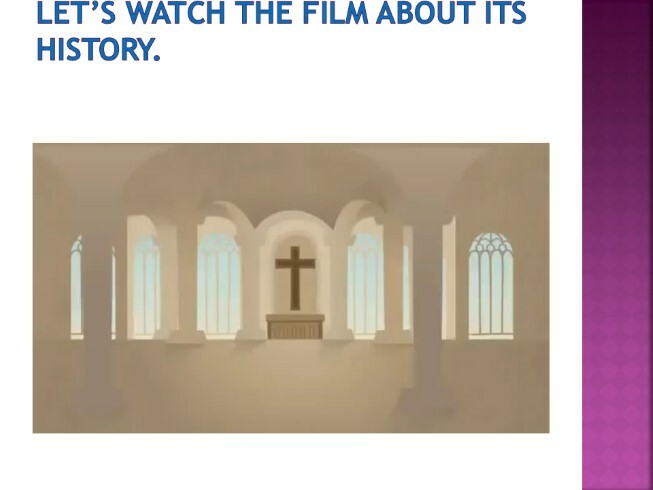 Let’s watch the film about its history. Read the story and do the task after it. 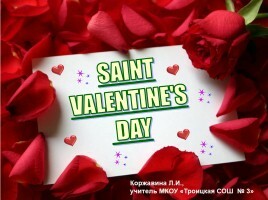 St. Valentine's Day St Valentine’s Day comes on February 14. 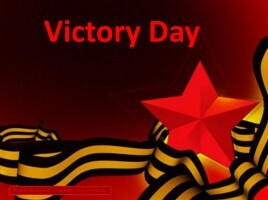 It is not a legal or national holiday. Banks and offices are not closed, but it is a happy little festival for people. St Valentine is the patron of sweethearts. February 14 is the anniversary of his death. 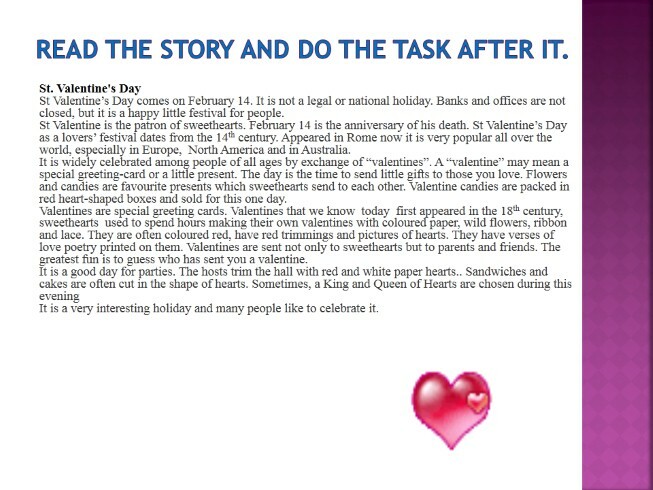 St Valentine’s Day as a lovers’ festival dates from the 14th century. Appeared in Rome now it is very popular all over the world, especially in Europe, North America and in Australia. 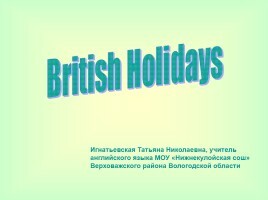 It is widely celebrated among people of all ages by exchange of “valentines”. 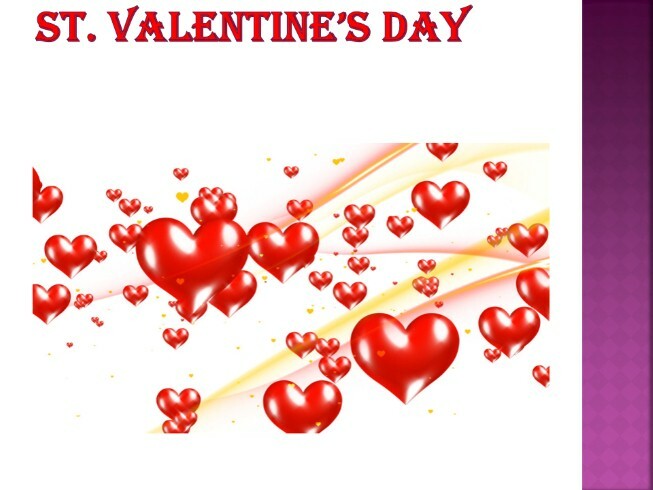 A “valentine” may mean a special greeting-card or a little present. The day is the time to send little gifts to those you love. Flowers and candies are favourite presents which sweethearts send to each other. Valentine candies are packed in red heart-shaped boxes and sold for this one day. Valentines are special greeting cards. Valentines that we know today first appeared in the 18th century, sweethearts used to spend hours making their own valentines with coloured paper, wild flowers, ribbon and lace. They are often coloured red, have red trimmings and pictures of hearts. They have verses of love poetry printed on them. Valentines are sent not only to sweethearts but to parents and friends. 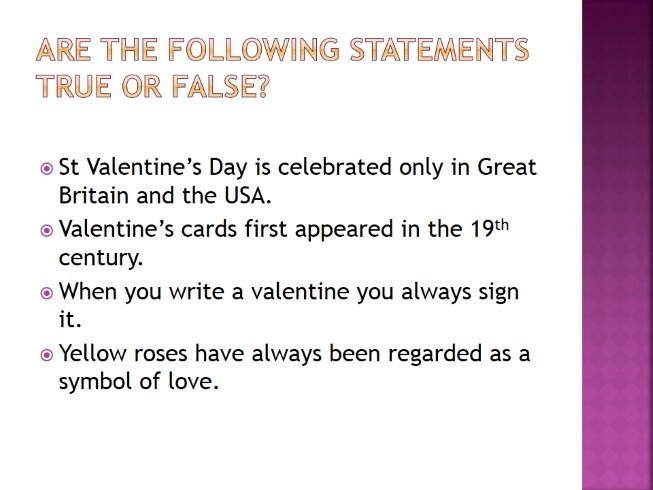 The greatest fun is to guess who has sent you a valentine. It is a good day for parties. The hosts trim the hall with red and white paper hearts.. Sandwiches and cakes are often cut in the shape of hearts. Sometimes, a King and Queen of Hearts are chosen during this evening It is a very interesting holiday and many people like to celebrate it. 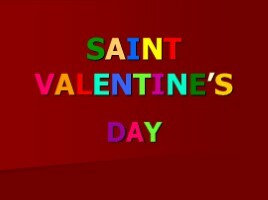 St Valentine’s Day is celebrated only in Great Britain and the USA. 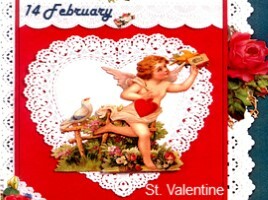 Valentine’s cards first appeared in the 19th century. When you write a valentine you always sign it. Yellow roses have always been regarded as a symbol of love. 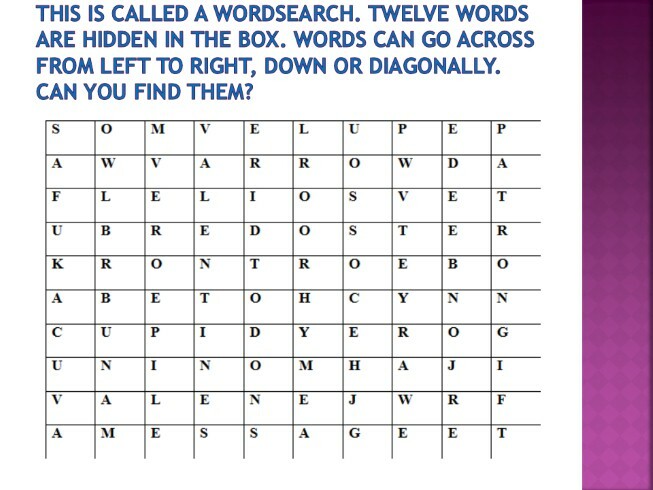 This is called a wordsearch. Twelve words are hidden in the box. Words can go across from left to right, down or diagonally. Can you find them? 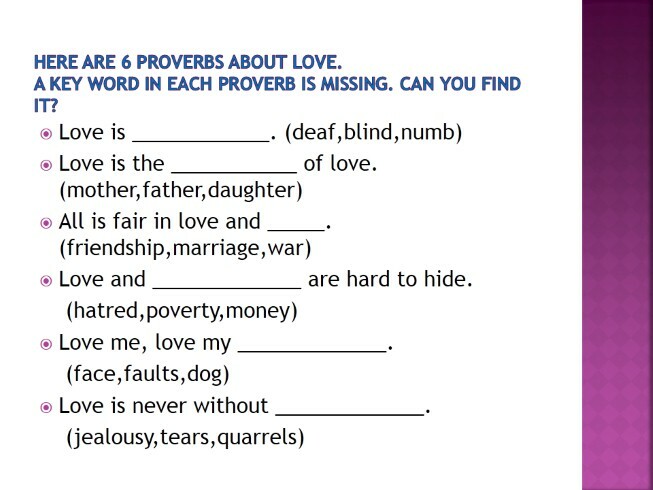 Here are 6 proverbs about love. A key word in each proverb is missing. Can you find it? 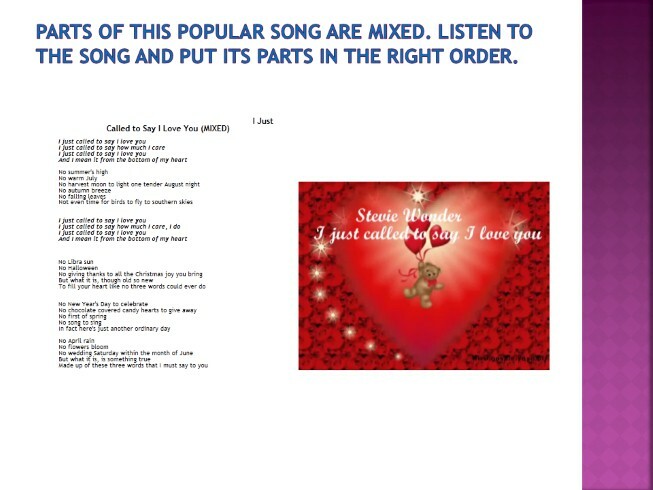 Parts of this popular song are mixed. Listen to the song and put its parts in the right order. 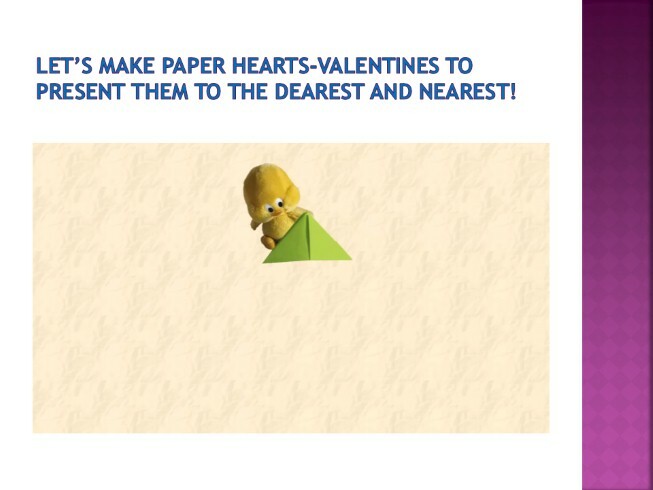 Let’s make paper hearts-valentines to present them to the dearest and nearest! 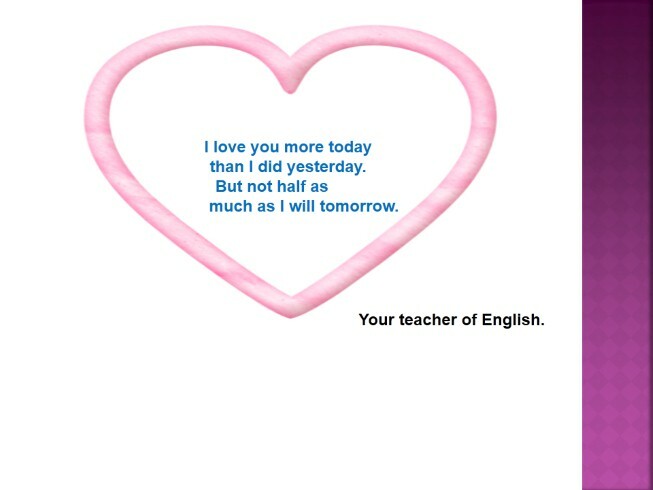 I love you more today than I did yesterday. But not half as much as I will tomorrow.